-Professional interior Styling advice. -Specialising in dressing your home for a faster sale and better price. Home staging and property styling advice is not only for the high end priced homes. I can also give advice on interior styling/landscaping and accommodate with sourcing furnishings and accessories you may need in your new home or existing home. 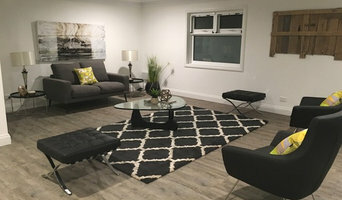 Based in Adelaide, Australia, Stage To Sell is a Short Term Furniture Rental company specializing in furniture & Stage To Sell offer a complete professional staging service to make your property more appealing to more of the buyers that are out there. A property with greater interest has the potential for a higher sale price and a quicker sale. Selling a home that is not staged just invites buyers to make bargain offers. This has become a service that benefits both home owners and real estate agents by placing homes above the competition. 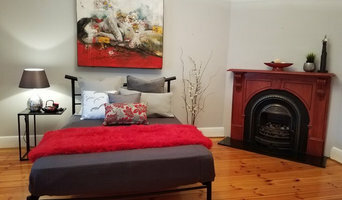 hire and home staging when selling your property in the Adelaide area. 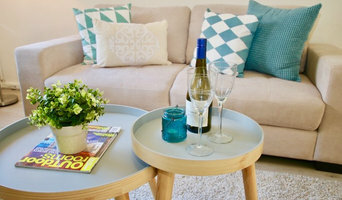 Home Stagers situated in the southern suburbs of Adelaide, 'The Wow Factor Home Styling' is owned and operated by a young, enthusiastic couple who are determined to provide the types of services readily available in other major cities. With a passion for the latest interior trends and a creative way of adapting these to suit the local market, the team are dedicated to providing a service above and beyond expectations. Leaving a lasting impression is not about an ok job, Wow Factor Home Styling will give your property a show home standard finish with a touch of individual flair. I specialise in home styling and home staging. Kixo Pty Ltd is a South Australian Based company supplying Home Staging Services in the Southern Region of South Australia. We also offer the Latest Designer Furniture from Around the Globe at affordable prices. We are a one stop shop for your Interior needs offering tailored advice with our trained stylist & shipping our luxury furniture Austraila wide! Please check our website or call us for more details on pricing, we'd love to hear from you and help you design your dream home. We can help your property stand out in the online crowd, with beautiful styling and stunning photographs to make buyers fall in love with your home. With most of your potential buyers doing their research online first, the images and presentation of your property has never been more important. Styling by iDRESS interiors equates to more people viewing your home in person, leading to more offers and the all important ‘SOLD’! For many homeowners, putting their house up for sale can be exciting time that can also be a little bit daunting. While there are a number of things that you can do to ensure that you get a good price - such as selecting the right agent, cleaning, painting and maintenance, hiring a home stylist is proven to be one of the best and effective investments that you can make when selling a home and developing a marketing strategy At iDRESS interiors, we carefully consider your home, where it sits on the market, its competition and its features. We then style your home with beautiful furnishings and artwork to appeal to your target market. Your property and all it has to offer is showcased to your potential buyers. iDRESS interiors will give your home the best chance of selling quickly, easily and for the best price. Please contact us for a no obligation quote. We would love to help sell your home! At Signed Sealed Sold - Home Staging our aim is to make your property stylish, spacious and appealing to a broad market. We want the first impression to create a wow factor so potential buyers will fall in love with your home. We take care to stage your home, apartment or investment property to present the property in the best possible light, with the priority of maximising market appeal over the competition. This greatly improves your chances of making a quick and highly profitable sale. As each property is quite different, our home staging services are tailored to suit the house style, potential market and your budget. Research shows that homestaged properties sell for more money and in less time than empty properties. A homestaged property can transform an empty space into a welcoming, appealing and attractive product for sale. Homestaging markets a property to its maximum potential leading to maximum impact and the best possible results. We are very passionate about interior design and love creating spaces that feel simply divine. It is a pleasure to look back at the end of each home staging project and see how the finished product creates a particular feeling that flows from room to room and throughout the entire home. Ann Tregoning, principle designer, decorator, stylist and founder of 7th Avenue Projects brings over 18 years of experience to the industry, and was influenced by all aspects of interior and exterior design from a very early age, having grown up around a family owned business within the construction industry. Her passion for the entire build process quickly took hold and she soon found herself being involved from the initial concept plan and design stage with the in-house architects, including: electrical and lighting layouts, sourcing and selecting light fittings, selecting all finishes and fixtures, soft furnishings, artwork and window treatment selections as well as assisting with Project Managing and coordinating entire house builds. 7th Avenue Projects will provide each client with a personal, customised service entirely tailored to their needs, creating individual and functional spaces that give life and personality to the property. After obtaining her Diploma of Arts in Interior Decoration and Design in 2002, Ann launched upon her career becoming employed to property stage and style display homes. After obtaining her Diploma of Arts in Interior Decoration and Design in 2002, Ann launched upon her career becoming employed to property stage and style display homes. Ann soon obtained her own builders/contractor’s license and here is where 7th Avenue Projects was born! Ann began developing, constructing and project managing properties again (now under her own business) through to the entire property styling and selling stage. Working in conjunction with a trusted team of reliable, fully qualified tradesmen – 7th Avenue Projects has your every interior or exterior design, decorating or styling requirement covered. 7th Avenue Projects will provide each client with a personal, customised service entirely tailored to their needs, creating individual and functional spaces that give life and personality to the property. You can trust that when utilising the services of 7th Avenue Projects that your ultimate dream space will be created. With a focus on a timeless interior that speaks individually of the client. Short term furniture rental and styling service for properties in preparation for sale. We pride ourselves with our attention to detail and providing an affordable solution for your property Why Choose Us – All our work is personally supervised by a qualified interior designer. – Our prompt and totally professional service is focused on making that very first impression one that the buyer will fall in love with and create emotional appeal that draws buyers in. – We will style your house to compliment its features, making it a unique solution that is individually tailored to the needs of your property and we present your home in a way that appeals to the target market group. Our attention to detail brings personality and style to your home. – We work closely with real estate agents and know what impacts potential buyers, what is on trend, and what meets the expectations of your buyer demographics. – We have an absolute commitment to providing the highest level of service and our track record shows we consistently achieve exceptional results. – As a service based company, we thrive on working towards understanding the varying requirements of our clients so as to respond with the best solutions for your needs. – Our rates are the best in Adelaide. Styling Your Home... Your Way. Your homes is where you can show your personality and be yourself. However, it can be daunting and time-consuming. Busy lives, kids, and distractions often mean a stylish and livable home is further from reach than ever. Your home is my passion. I'd love to help you declutter, style, refresh your decor, and design the perfect interior/exterior for YOUR loves and lifestyle. I studied technical drawing and interior design before working as a style design writer and media columnist. Working with national home & interiors brands, I am constantly exposed to what's new in the marketplace. I also write a weekly Home + Interiors newspaper column. 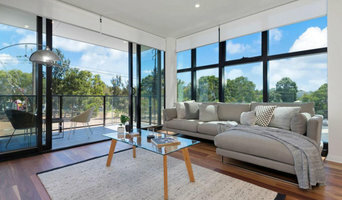 Professional Home Staging & Interior Design services in Adelaide. Let POP Home Staging style your property and maximise your sale price. There are several great reasons to engage our home staging services. Home staging will save you time and will increase the sale value of your home. With home staging, a house will sell faster than one without home staging. POP Home Staging has a great range of quality, attractive furniture, bedding, art, rugs and accessories for all your home staging needs. POP Home Staging caters for a wide range of budgets and can help you find a solution to meet your needs. Helping you to sell your home faster! Whether you are a home owner or an investor achieving the best possible price for your property is important. Superb presentation gets buyers in the front door, inspires great offers and helps you sell quicker. Sharpen UP can help you create the perfect presentation to make your home stand out from the crowd. 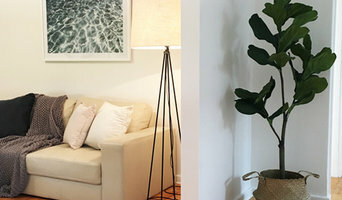 The Home Stylist or Stager works to prepare your Adelaide, South Australia home for the South Australia real estate market. Find a home stylist or stager on Houzz. Narrow your search in the Professionals section of the website to Adelaide, South Australia home stylists. You can also look through Adelaide, South Australia photos by style to find a room you like, then contact the professional who styled it.